While I haven’t written about his work much, Brian K Vaughn is hands down my favorite comic writer (and probably my favorite writer in general). He has created some of the finest original comics of the last decade. Titles such as Ex Machina, Y the Last Man, Runaways, and Pride of Baghdad are so good that I keep reading them over (when I’m not loaning them to friends). When Ex Machina came to its dramatic conclusion last year, my Wednesday pull list became far less interesting. So I was elated when Image Comics announced that Brian K Vaughn and Fiona Staples are teaming up to create yet another new series, Saga. 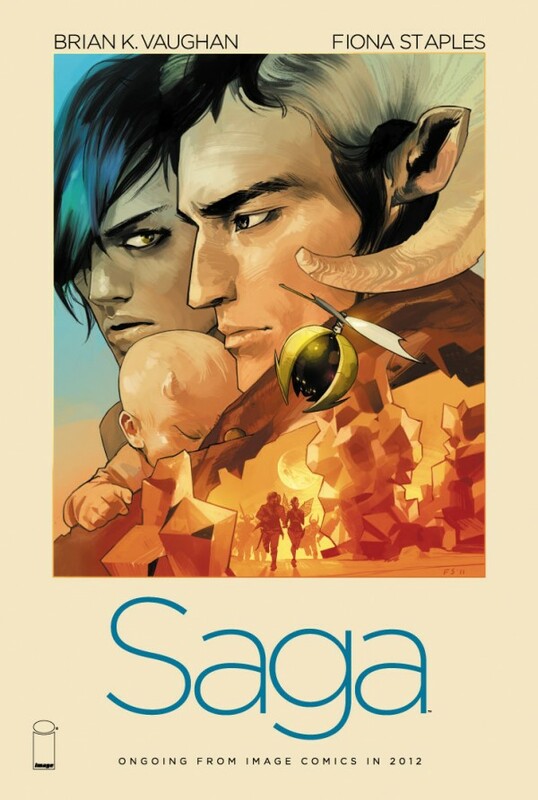 Details are sparse, but Saga is “about a family thrown together and trying to survive galactic war.” Given Vaughn’s history of writing deeply emotional stories with ensemble casts thrown into horrible situations, this is incredibly fertile ground for him. Finally, Staples’ art is always stunning. Have a look for yourself. I can’t believe I have to wait until 2012 to read the first issue.